Dating site scams have been around since the beginning of technology, but we have noticed lately that they are becoming more and more widespread. Scammers have learnt that there can be huge rewards in plundering lonely people, and slashing away at their vulnerabilities. As private investigators we are well skilled in recognising these scams having investigated many on prior occasions. One of the most common approaches to getting started on this scam is for the scammer to join a dating site with a nice-looking photo and deep and meaningful profile description, knowing that there are single lonesome people to take advantage of. Typically they will contact an enormous number of potential dupes as soon as they join the site, then along with that first contact give out an email address (against the rules of the dating site) then within hours have the profile taken down. This is long enough to contact hundreds of individuals and leave an email address. Exposed victims will then contact the scammer directly by email outside of the dating site. These guys are very well versed, and spend a lot of time on the initial sting which they use again and again. They target both male and female victims but let’s use the example of a vulnerable woman for the purpose of this discussion. The female target now has the email address for what she things is a potential suitor. If she makes contact with the scammer then half the work is done already. Nearly always the scammer plays the part of a well-educated engineer (or other professional) who admits to not having any close friends, typically works or has recently worked on foreign construction developments, and has a child from a previous relationship. Often the scammer has had a family tragedy like the death of a parent or spouse as part of their initial structure. They will seldom be a resident of the country you reside in. There is the two key approaches that net a victim. The first is that the scammer ALWAYS has beautiful things to say, almost lyrical things. They gush about how gorgeous the victim is, and how skilfully they write and how humorous they are. The second part of the deception is that the photograph of the suitor is a fetching man with a wonderful smile. This is all that they need to nab the interest of a victim. Initial contact is via email, and then in most cases the victim will want to talk to her potential suitor. The conversation will be charming and all about you, telling you how lovely your voice sounds, and reciting poetry at you. They will limit the dialogue though as they will have some pressing commerce to attend to or have limited telephone service on the job site they are on. The voice of the scammer is always of a ‘worldly’ accent. Not English, or Australian or anything in particular – easily explained by all of the countries the suitor has lived in and the well-traveled lifestyle they have lead (according to them of course). So now you think you have a tangible person who is interested in a relationship with you. The snare is set. Eventually you will want to meet them, but it will never occur. You will be told that they are on the way to meet you. There will be some sort of tragedy fall upon them and they won’t be able to make it to that meeting. There will be no meeting ever. Most of our clients accept the information we have established and move on. On a few occasions we have had clients that were so stunned that they had been scammed, that they wanted to explore further and try to identify the real person they had been talking to (one client had an 18 month relationship with a man she had never met – just a photo, emails, and conversations). On more than one occasion we were able to trace the scammers to Nigeria – that’s right, the Nigerian scams are very real! And please be aware that you aren’t dealing with a single individual – you are up against an organised squad who carry out this deception every day. 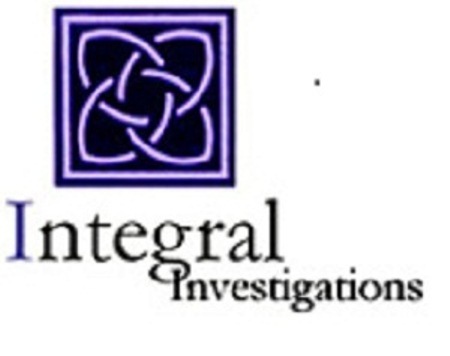 If you think you need a licensed private investigator to look into a dating scam you may have gotten yourself involved in, just email us at enquries@integtalinvestigations.com.au for additional information.